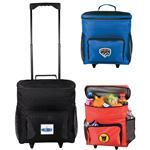 This Cooler Chair is perfect for enjoying outdoor activities and sporting events in comfort. Has a durable metal frame and padded seat for optimum comfort. 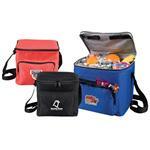 Have easy access to cooler contents even while seated. 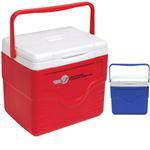 This cooler seat is collapsible for quick and easy storage. 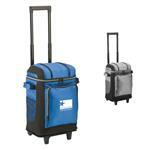 Features a detachable and adjustable shoulder strap and rear pocket for storage. 24 can capacity. Has PEVA lining and a PU fabric backing (non PVC).